Each workday, Sgt. Pari Gul a mom-of three, stands guard at Kabul's East Gate Checkpoint. In a war torn country as religiously conservative as Afghanistan, her very presence is both a warning to militants and a provocation to hardliners. Gul works the Pol-e-Chakhri checkpoint at the end of an 80-mile stretch that connects the capital to the largest city in the east, Jalalabad. The road itself is treacherous, widely considered to be one of the most dangerous in the world. 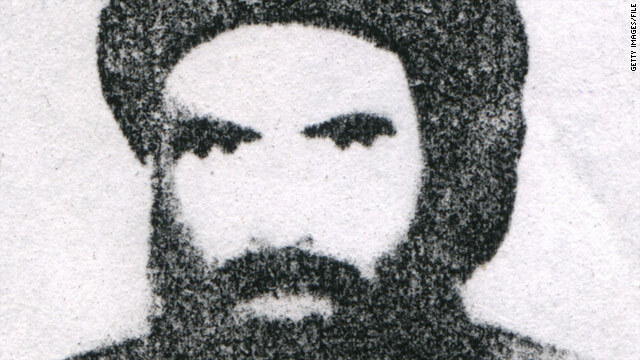 Mullah Omar, the top leader of the Afghan Taliban, is shown in this undated photo sometime before October 2001. The Afghan Taliban forcefully denied reports Monday that their leader is dead, dismissing them as "claims and rumors" from the "Kabul stooge regime's intelligence directorate." Mullah Mohammed Omar "is alive and well and is leading the Mujahideen in all aspects while living safely with reliance on Allah," spokesman Zabihullah Mujahid said. His statement came after suggestions that Omar might have been killed recently. 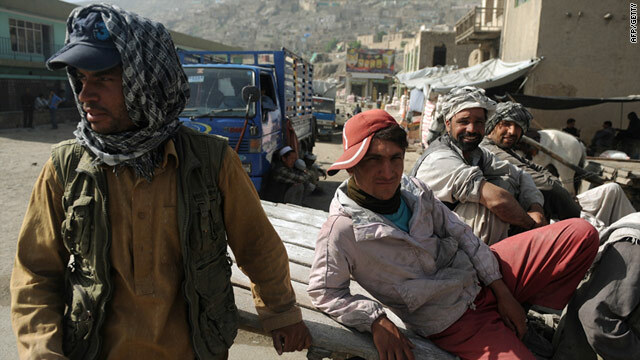 A suicide bomber blew himself up Monday at an outdoor market in the eastern Afghanistan province of Laghman, killing four people and injuring 12, a spokesman for the provincial governor said. The blast occurred at about noon in the village of Alishang, northeast of the capital city of Kabul, said spokesman Faizan Patan. The bomber detonated an explosive device at the market, which was next to a local hotel, Patan said. At least 10 members of Pakistan's military were killed in a gun battle between security forces and Taliban militants at a naval base in the coastal city of Karachi, authorities said Monday. The clashes raged for hours after attackers with guns and grenades stormed the compound Sunday night. By Monday afternoon, the base had "been cleared from the terrorists," a Pakistani navy spokesman said. In addition to the 10 dead, at least 15 other Pakistani troops were wounded in the fighting, Pakistani Interior Minister Rehman Malik said. 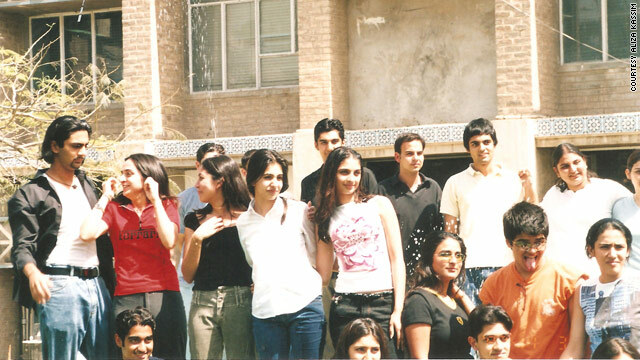 CNN's Aliza i. Kassim (center, wearing a t-shirt with pink flower), shown here with some fellow classmates in 2002, was attending the private Karachi American School when the 9/11 attacks took place. Editor's note: Aliza I. Kassim is an editor at CNN’s International Desk in Atlanta covering the Middle East and south Asia. Aliza is a graduate of Columbia University’s Graduate School of Journalism and has reported for various media organizations from Pakistan, Afghanistan and Tajikistan. It is hard to believe that the name that became infamous and on the lips of every child and adult alike, from the depths of the East to the peaks of the West, finally met his demise on May 1, 2011. A suicide attack in an eastern Afghan province Wednesday killed 14 people and wounded 18 others, police said. The suicide bomber targeted a police bus that was coming from a training academy, said Alisha Paktiawal, police chief of Nangarhar province. The dead included 10 police. 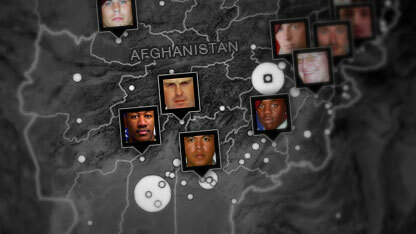 Militants often target security forces in Afghanistan. An explosion in April killed three police academy trainers in Nangarhar. Afghan President Hamid Karzai condemned the attack in a statement and blamed it on terrorists intimidated by the growing strength of Afghan security forces.